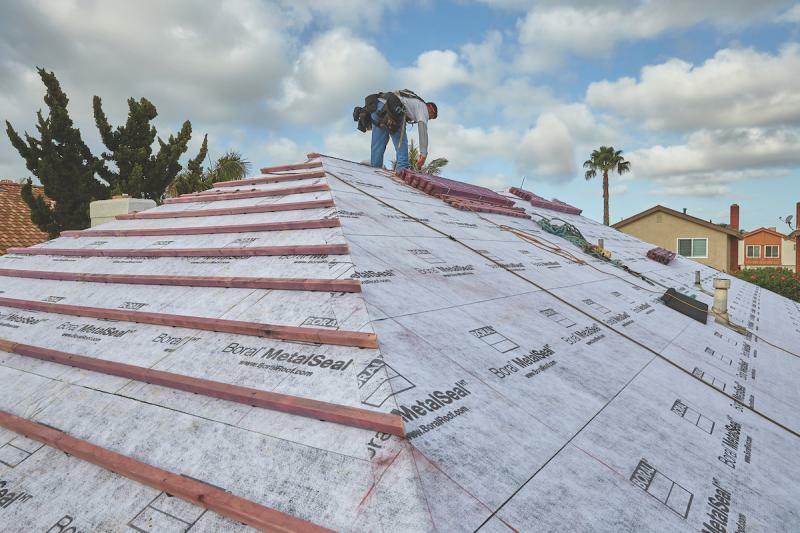 Boral Roofing has unveiled a high-temperature, self-adhering underlayment that is designed especially for metal roofing but is also suitable for all roof materials in any climate. The company says MetalSeal provides all season durable protection for the roofing. It protects the house “against wind, rain, snow and ice dams by bonding to the base sheet or directly to the roof deck and self-sealing around every fastener penetration,” the company says. Easy to install, the product eliminates the need for an excessive number of nails, which helps reduce installation time and cost, Boral adds. The product is made from high-strength woven polyester, so the surface traction enables safer, faster, and easier installation. It also remains intact under high foot traffic and provides UV resistance up to six months, the company adds. The company says the product may be installed in freezing weather or hot summer temperatures without weather-induced delay. It meets or exceeds Florida building code requirements and is rated up to 260 degrees Fahrenheit. MetalSeal comes in 216-square-foot rolls.